Check out the graph below by Noel Prize winning economist Robert Shiller. The lesson is that a home is great to meet your housing needs, but not great as a long-term investment. Shiller — who won the Nobel Prize last year — is regarded as the world’s foremost housing expert. He has married historical data with deep insight into human psychology to offer some of the best housing analysis anyone’s ever produced. “The housing boom in the early 2000s was driven by a sense that housing is a wonderful investment. It was not informed by good history,” Shiller said. Most people now agree on that much. “If you look at the history of the housing market, it hasn’t been a good provider of capital gains. It is a provider of housing services,” he explained. By that, he means a home gives you a place to live, a place to sleep, a place to store your stuff. But that’s it. Americans believed — and still believe — that the value of their home will increase above the rate of inflation. From 1890 — just three decades after the Civil War — through 2012, home prices adjusted for inflation literally went nowhere. Not a single dime of real growth. For comparison, the S&P 500 increased more than 2,000-fold during that period, adjusted for inflation. 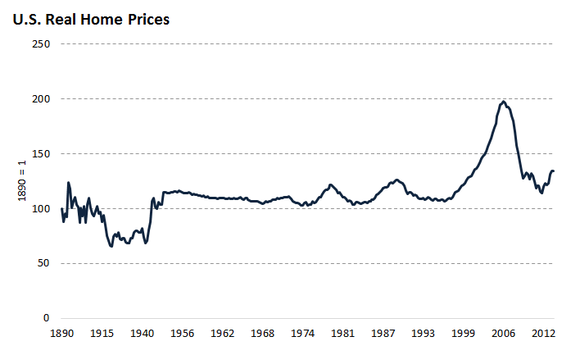 And from 1890 to through 1980, real home prices actually declined by about 10%. It’s important to reiterate what a home does do: It provides a place to live. A place to raise your kids. A place to spend the holidays with your family. A place to barbecue with your neighbors. Even a place to rent out. That has tremendous value, of course. Shiller owns a home. He’d buy another if he needed one. “Basically, if I were in the market right now because I wanted a house, I would buy a house,” he said. The problem is that Americans expect more out of their homes than just a place to live. In 2010 — years after the housing bubble burst — Shiller’s surveys showed Americans still expected their home to appreciate by more than 6% a year over the following decade. If history is any guide, that’s probably about twice as fast as they’ll actually appreciate by. Despite the housing crash, people still expect stock-like returns out of their homes. Since a home is most Americans’ largest asset, you can see how this becomes a problem. When you have inflated expectations about the largest asset you own, you walk down the path of financial disappointment. Everyone should live in a home they can afford and provides the lifestyle they desire. But assuming it’s a superior long-term investment, one to rival stocks, is dangerous. My addition: Of course, there are exceptions to the general rule some specific areas where homes will increase in value. Areas undergoing gentrification is a great example of areas that generally appreciate in value. But the key to remember is that those are exceptions to the general rule. 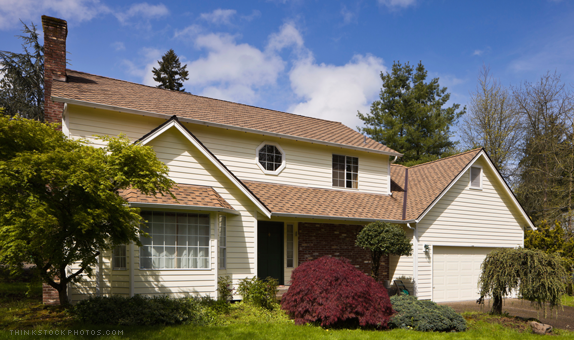 If you’re buying a home as a long-term investment (and not just to meet your housing needs), make sure you have data to explain why your home is an exception to the rule.